Spend any length of time at a nursing home and it's obvious that needle use to administer medications to elderly residents figures prominently in the routine. In most cases, the reuse of needles and syringes to administer substances to multiple patients or residents is strictly prohibited, as mandated by the Centers for Disease Control infection control guidelines as well as standards set by a variety of professional associations. This practice helps deter transmission of blood-borne diseases such as HIV and hepatitis, which could present risk of infection to nursing home residents and staff alike (not to mention nursing home professional liability claims)--yet studies show that compliance with rules is never 100 percent. However, certain types of needles (cardiac or biopsy needles, for example), can be reprocessed. Any needles suitable for reprocessing will have a statement from the manufacturer stating this, but it is of utmost importance that any staff member who is responsible for administering injections knows the difference between the use of these needles and syringes. Having a process in place in the facility that helps ensure that single-use needles and syringes are kept separately from needles suitable for reprocessing is just one example of risk management that can help keep reduce exposure to professional liability claims. Increase safety for everyone involved by making sure workers are aware they should never attempt to reuse disposable syringes. Some facilities have done this to save on costs, especially with expensive or controlled drugs, but doing so is extremely unsafe. That's because changing the needle on a syringe does not render the syringe safe to use on multiple residents, even when using needleless systems and IV infusion ports, since backflow could contaminate the syringe with blood-borne pathogens. 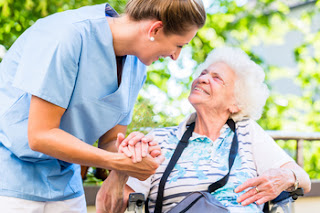 Work with an insurance professional to obtain a nursing home professional liability policy. In addition to providing coverage for the many risks involved in providing professional services to residents in a senior living environment, the insurance agent can provide guidance on how to enact a risk management program designed to highlight safe practices at the nursing home.